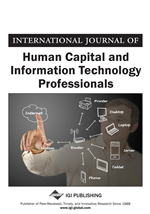 The chief aim of this article is to examine the emotional intelligence (EI) and personality traits as the predictors of job performance of IT employees in India. To obtain this, the data was collected from 158 middle management employees working in Indian IT sector through random sampling method with the help of three scales such as DKEIT, JPI, and MPI. After data collection, the study carried out a different statistical analysis which includes frequency, correlation and regression analysis through SPSS 23.0 version. The study findings reported that both EI and Personality Traits impact the performance of job of IT employees, i.e. both Personality Traits and EI operate as a predictor of Job Performance of Indian IT employees. Based on which, the article gives few recommendations to future researchers. Emotional intelligence (EI) is defined as the capability to identify and control emotions of own and others, to produce valid decisions as it helps to understand the interpersonal dynamics (Cherniss, 2001; Ciarrochi & Mayer, 2007; Zeidner et al., 2011). If an individual is more receptive and showing more gratitude towards critical problems or shows enthusiasm in solving engraving difficulties of life, then the person is considered as well enhanced EI (Mallery, 2008), whereas the individual does not show much interest in solving the issues at appropriate time then the individuals are recognized as lack of sufficient EI. This reveals that EI acts as an important role in predicting the performance of employees in work environment. On the other hand, Personality of employees also plays a lead role in the work environment. It is defined as the set of emotional qualities, thought, and behaviour that makes a person different from other people (Allport, 1961). According to Beer and Brooks (2011) Personality of individual’s distinctive characteristics or qualities which give the perception of how able the person is, in doing some particular job compared with others (Sackett et al., 1998). From this, it is clear that both these characteristics involved in predicting the Job Performance of employees in organizations in general. Job Performance is defined as an assessment of an individual whether the person has an ability to perform a job well and how well the activities are executed (Campbell et al., 1993; Dunnette et al., 1991; J. Hogan & Holland, 2003). Is there any relationship between EI and Job Performance? Is there any relationship between Personality Traits and Job Performance? Does EI and Personality Traits predict Job Performance?